The unit screen is made of multiple 47 inch industrial grade A+ LCD panel and sophisticated video wall controllers. All parts and materials of the unit screen are rigorously 100% tested before assembly and all completed sets experience 48 hours aging test before shipment. It features 1.7mm virtually seamless bezels to shorten the gap between the screens significantly. Moreover, the inter-screen gap can be adjusted via window adjustment through the software. The gap looks narrower than the actual gap after window adjustment. It has ultra high contrast ratio, which enables the device reach best luminance to display the picture and text. 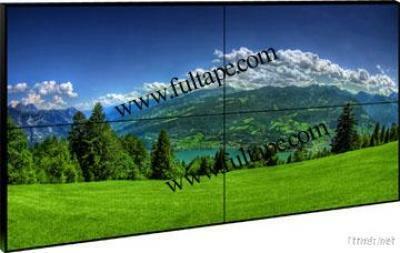 It can produce ultra clear and high quality image and text that other kind of video wall cannot. The device is equipped with an intelligent auto cooling system that can control the temperature inside the machine automatically when the temperature is over 45 Celsius degrees. The most significant features of this model, W4700EUH, are that it comes with LED backlight and features full HD 1080p resolution, higher brightness and slimmest 3.5mm screen to screen gap( in total). These features enable it display finest and clearest Images/videos and text while reduce energy consumption as much as possible. Ultra high brightness feature enables it display text and pictures/videos clearly and suitable for installation under sunlight condition or semi-outdoor. And its’ slimmest 3.5mm screen to screen gap will give audience wonderful experience at most perfect extent. This device is extremely suitable for visual equipments in entertainment, TV show and event production. It is also very suitable for security surveillance, exhibition, conference, advertisement, multi-media classroom in universities and schools and worship houses in churches and other applications.